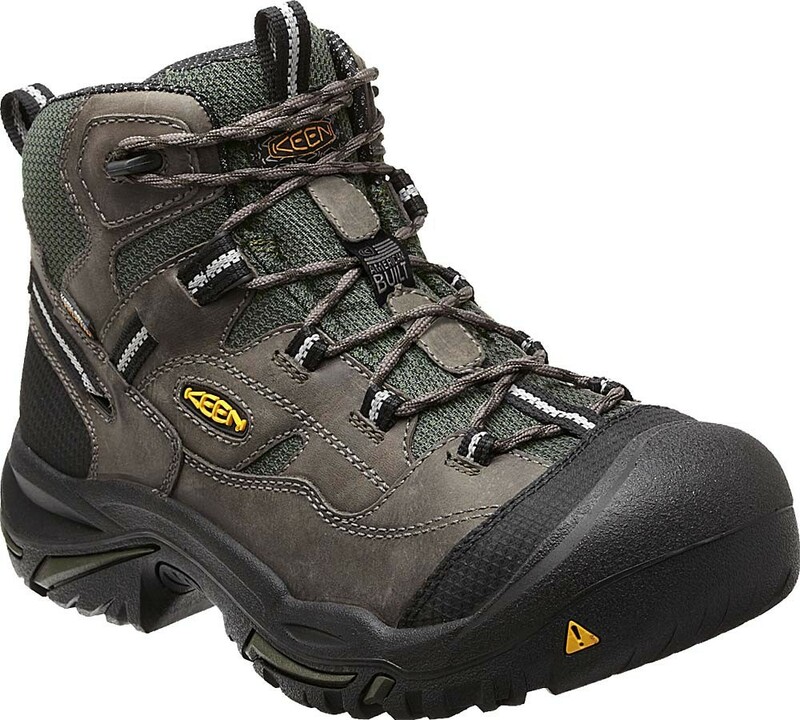 Part of KEEN Utility's American Built collection, the men's Braddock Mid WP steel toe leather work boot features out-of-the-box comfort thanks to the left and right asymmetrical safety toes. Waterproof, thanks to the KEEN.Dry waterproof, breathable membrane, this leather work boot has it made. It's at home in general construction, medium to heavy duty. Our oil and slip resistant outsoles meet or exceed ASTM (American Society for Testing and Materials) F1677-96 MARK II non-slip testing standards. Uniquely anatomically correct steel, aluminum, & composite toe designs provide a roomier toe box and maximum comfort. Meets ASTM F2412-11 and F2413-11 I/75 and C/75 Standards.